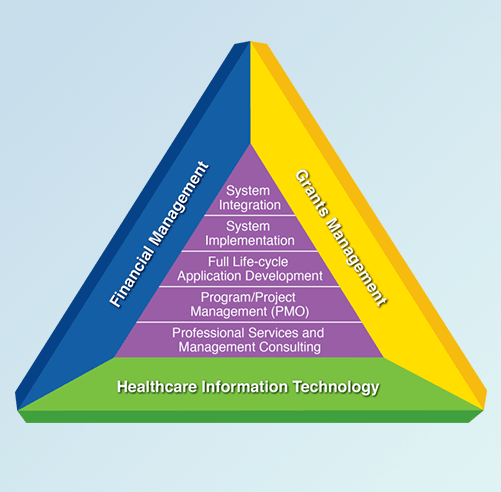 We understand the challenges of integrating Healthcare IT systems. The lack or absence of integration standards, the limited adoption of existing standards such as HL7, and the proprietary languages/methodologies of many clinical systems and applications hinder healthcare organizations’ ability to have a set of fully functional, seamlessly integrated systems to deliver the information that healthcare practitioners need the most. We are ready to take on the challenge and solve the complex integration issues that face the healthcare industry. We have a proven track record configuring, field-testing, and adopting complex, large-scale, enterprise-wide applications. Bringing Healthcare practitioners and technologists together, we stand ready to assist providers leverage technology to deliver the best available patient care while reducing costs. The FUTREND team designs, develops, tests, implements, and integrates whatever solutions are necessary to solve real world issues in the healthcare industry. Whether it is to use Natural Language Processing technology to “read” text and assist disability examiners in processing claims, or processing patient travel requests, authorizations or vouchers within minutes, FUTREND is passionate and capable of delivering the correct healthcare solutions. We have a proven record in using various development methodologies — from full software development life-cycle (SDLC) to iterative and agile development. In order for an organization to effectively manage IT and other special projects, it is critical to have the required governance, standardization, re-use of templates, change management, and knowledge management. Building consensus and obtaining buy-in from stakeholders and end-users are as important success factors as having executive sponsors’ support. We are well versed in Project Management Institute (PMI)’s PMBOK methodology. 30% of our Project Managers are PMP certified. 25% of our staff has Master’s degrees. Our program management services provide expertise that keeps programs focused, assisting agencies and organizations in defining, managing, and implementing strategic business initiatives, including large-scale, complex technology design and development projects. Is the system built right? Was the right system built right? At FUTREND, we value all of our customers, and strive to give our customers individual and prioritized service. Through past success and growth, FUTREND has positioned itself to assist Federal clients in multiple IT endeavors. As we continue to grow, our focus will remain on our ability to partner with our customers to provide the highest quality professional services and excellent results. Realizing the importance of Healthcare to every citizen, we must focus on what we know to bring value to the healthcare industry. We are building a team of experts in healthcare bioinformatics to advance scientific Research and Development (R&D) by leveraging current and advanced technologies.